Deep-fried crab claws (椒鹽肉蟹鉗) - somehow, being the host meant that I got myself the smallest claw... but no matter. What I did get, despite being the midget cousin of the others, was a delicious, moist claw that was nice and a little crispy outside. Love the natural flavors of the crab, accented slightly by the salt and chili peppers. Stir-fried lobster with black beans (豉椒龍蝦球) - I substituted this in lieu of shark's fin. The immediate comparison would be with the version at Fook Lam Moon (福臨門), and they were pretty different. Tonight's dish had big chunks of lobster, which were more satisfying to bite into yet took a little more effort to chew on. The texture was softer, and less crunchy than FLM's version. Flavors seemed deeper here, and I remember the FLM lobster being lighter and sweeter. As the peppers and celery came in bigger chunks here, they're not in every mouthful... so they contribute less to the flavors of each bite. Braised mountain turtle (紅燒大山瑞) - well, this certainly wasn't as impressive as the one we had last time, but I'm glad we got the braised turtle and not the stir-fried shredded version. This way we could still get big chunks of the skirt, which is much more satisfying than if they were shredded. Pretty heavy in terms of flavor, with plenty of ginger to try to rid the dish of its strong, gamey flavors. This dish brought about a discussion about how turtles are killed before cooking. While someone mentioned boiling in hot water, Uwe recounted the tale of watching someone chopping the head off. At the end of the evening, we were curious enough to ask the chef... who told us that usually they make a cut in the turtle's neck to let out the blood. Simply chopping the head off would shock the turtle and, apparently, some of the blood would stay in the body. Crispy chicken (脆皮炸子雞) - well, this was really good chicken, done the traditional way of ladling hot oil over it repeatedly. The meat was certainly tender and moist. It's too bad the Chicken Fiend couldn't make it to dinner tonight. Four treasure vegetables with superior broth (上湯四寶蔬) - it's pretty amazing how a simple of dish of vegetables could bring so much pleasure, and we were all in agreement about this. Radish, mushrooms, broccoli (peeled), and choy sum (菜心). Delicate flavors from the superior broth - tasty yet not overpowering. Just like the rest of the food here. Sautéed rice rolls with minced beef, bean sprouts in satay sauce (沙爹牛肉炒腸粉) - the only real disappointment tonight. Not that the rice rolls weren't delicious, nor did the satay sauce lack its usual punchy flavors, but... there was just simply an imbalance between the two. There should have been 50% more sauce, but the reality was that the rice rolls ended up tasting a little bland. Jujube soup with longan and apricot kernels (南北杏龍眼紅棗湯) - there seemed to be a last-minute change in dessert, but I didn't mind at all. In fact, this is my preferred dessert soup here. Ruinart Brut Rosé - nice nose of strawberries. 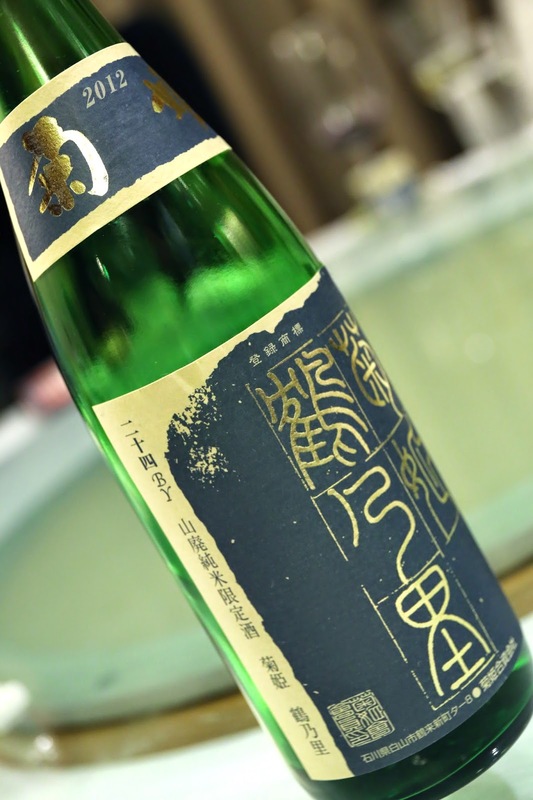 Kikuhime Tsurunosato (菊姫 鶴乃里), BY24 - a junmaishu (純米酒) with a seimaibuai (精米歩合) of 65%. this was served at room temperature and not chilled. Pretty sweet on the palate, but a little spicy on the finish thanks to the temperature. Pretty ripe, fermented rice notes, along with some banana. 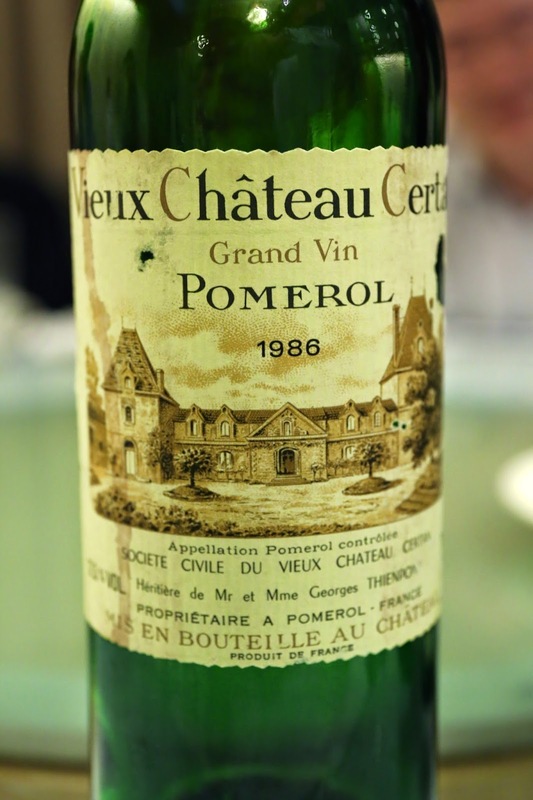 1986 Vieux Château Certan - drinking very nicely. Smoky, a little minty, with some leather notes. 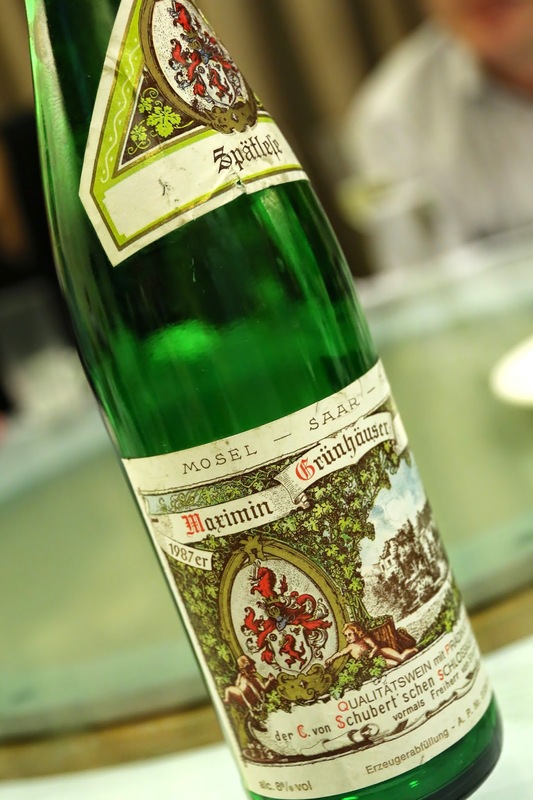 1987 von Schubert Maximin Grünhäuser Abstberg Spätlese - not too sweet on the palate, with a nice acidity balance. A little flinty. Pretty nice. 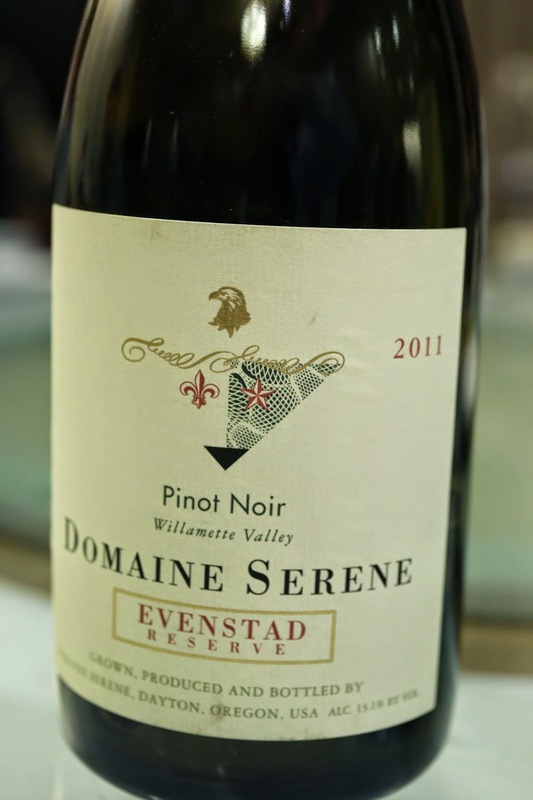 2011 Domaine Serene Pinot Noir Evenstad Reserve - pretty sweet on the nose, with some caramel and also some forest notes. Pretty typical of US Pinot, and certainly my type of wine. 1995 Joh. Jos. 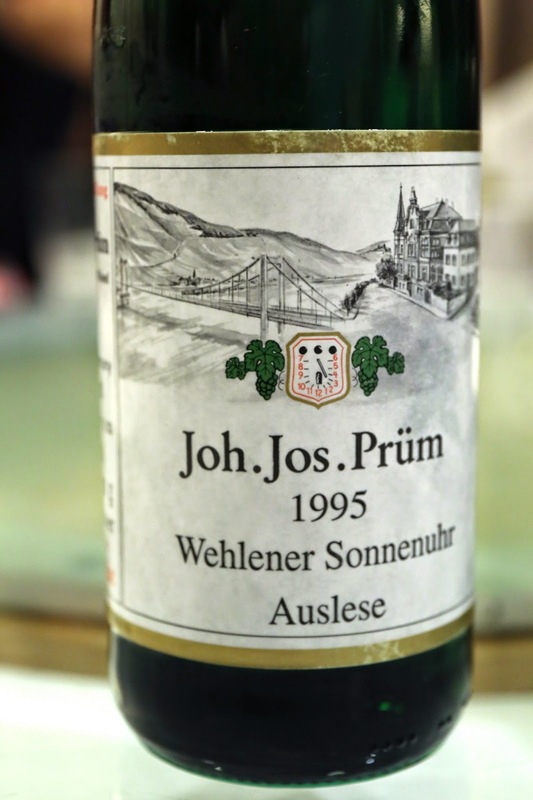 Prüm Wehlener Sonnenuhr Riesling Auslese - love the sweetness on the palate. This is always so smooth and delicious.